One of my seminary professors (Dr. Richard Pratt) said “if I can’t draw a picture of it in my head, I don’t teach it.” This was after I asked him the question: How do you teach in such a way that I actually retain what you are teaching? I was amazed at his teaching style – a style that sticks in my brain – even years after taking his classes. I usually can’t remember what I’ve read two paragraphs later. 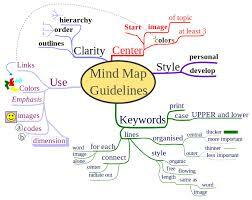 Hence as a result of that conversation with Richard (he hated being called Dr. Pratt), I began to make “mind maps” in my classes to study by. He truly helped me to see that it was indeed easier for me to learn and retain information in picture (or chart!) form. He also made me aware of the need for categories (or pegs if you will) in my brain so as to hang all this information on. Why didn’t someone tell me this in the first grade? I think learning could have been a bit easier! Now if I may take Pratt’s wisdom a step further – my own personal, feminine spin, which no one really had to teach me: If I don’t experience it – I don’t learn it – and hence don’t try to teach it to others either. This is especially valuable wisdom for me this week – as we begin to wrap up Relationships class – topic being “Our Relationship with God.” You see, it seems that I have to feel every single thing if i want to retain it, or speak or teach on it. And not only just “taste” it for myself but also put a “real life story” with it. Then, and only then, do I seem to remember anything. This learning thing has been a quest of mine for years — to figure out how people — especially a woman in a predominately male setting — who’s never been adept at reading comprehension — which all started in first grade – retain what is being taught. So for me personally, through Pratt’s wisdom especially, I’ve discovered learning techniques that work – perhaps they are unique to me – or to the female population but there has to be some measure of experiencing, feeling, and doing in order to capture it in my mind. “Just try it on” – remember that line from the movie Spanglish?! Totally out of context but truly is in my brain to stay. Theology is the science of living blessedly. I heard that over a year ago – and wow – I was all ready to coin it until I found out it had been coined in the 16th century. But what an aha moment! Theology is meant to teach us how to live blessedly forever – ah – I’m having a moment all my own just writing that – but really — if this is the case – wouldn’t it be great if we were all on a quest to be the best theologians ever? Just by learning to live blessedly? – I am actually in a contest with Thom Watson to see who can enjoy God the most – we both want that distinction when we finally see Jesus face to face —not quite sure how we are going to decide the winner however – But – this living blessedly notion is why we study and retain theology. Take every glorious thought captive and live well! Great post, Tari! Thank you for sharing.